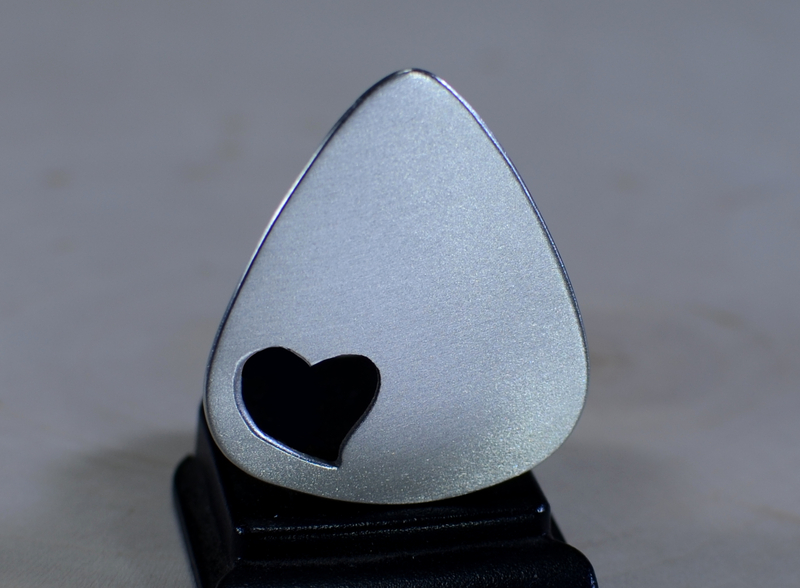 Rocking out the love, this guitar pick of love was custom cut in our studio from 18 gauge aluminum and features a hand-sawed heart cut out that is meant to put a little love in your music and your life. 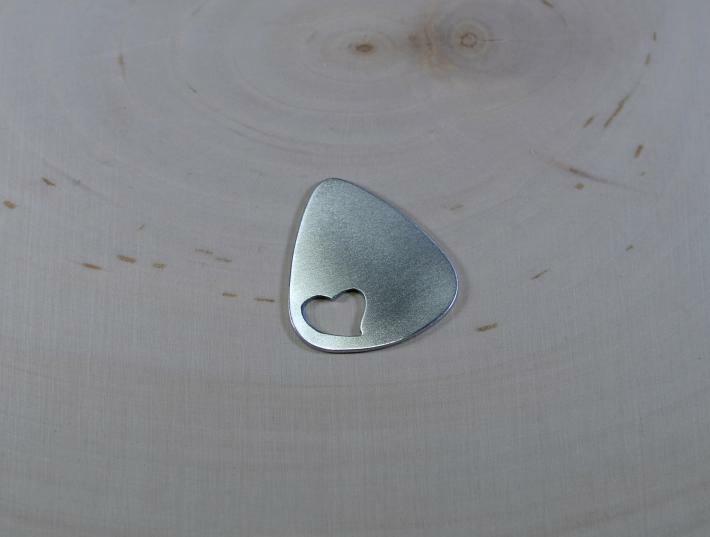 The rest of the pick has been left blank for you to enjoy the silver shine of natural aluminum or for you to personalize with a message of love by simply entering your requests in check out notes. 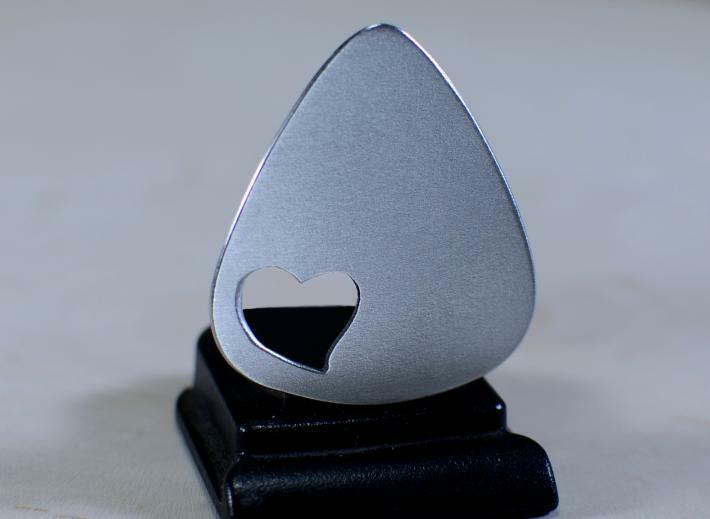 The edges of the pick were smoothed and surfaces polished to be easy on the fingers and guitar strings, while the strong and stiff 18 gauge aluminum is tough enough for those all night jams. I brought out the radiance of raw aluminum with a hand brushed burnished finish combined with a light surface buffing. The pick measures about 1.25 inches long by 1.15 inches wide at the top and was based on a standard plastic guitar pick.